Hey guys!! 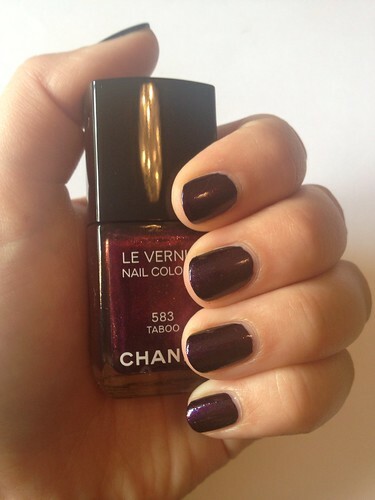 I’m in love with this nail polish from Chanel. It’s so fascinating and beautiful, but like hell to get it on picture. I think Chanel is a little bit too expensive because I’m still a student and I need money for other things. 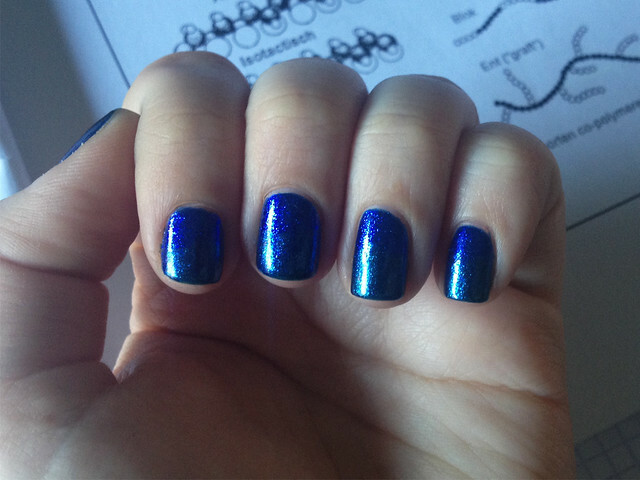 But I wanted this nail polish really bad, so I bought it. It’s so pretty!! It looks pinkish purple in the bottle, with a lot of mini glitters. But when you apply it it’s more dark purple with blue and pink glitters in it. It gives me a little bit of a gothic feel. I can’t stop staring at it so that’s a really good sign! I’m so glad I like it! 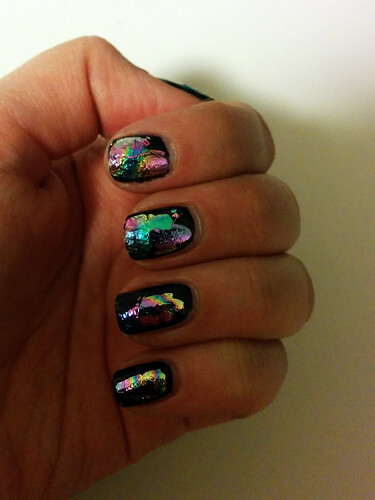 Have you guys had any experiences with Chanel nail polish?